For today's mani I used some really gorgeous holographic 'Ard As Nails polishes. All of their polishes are 5 free, vegan-friendly and cruelty-free. They offer a wide range of finishes and also sell hand care items. 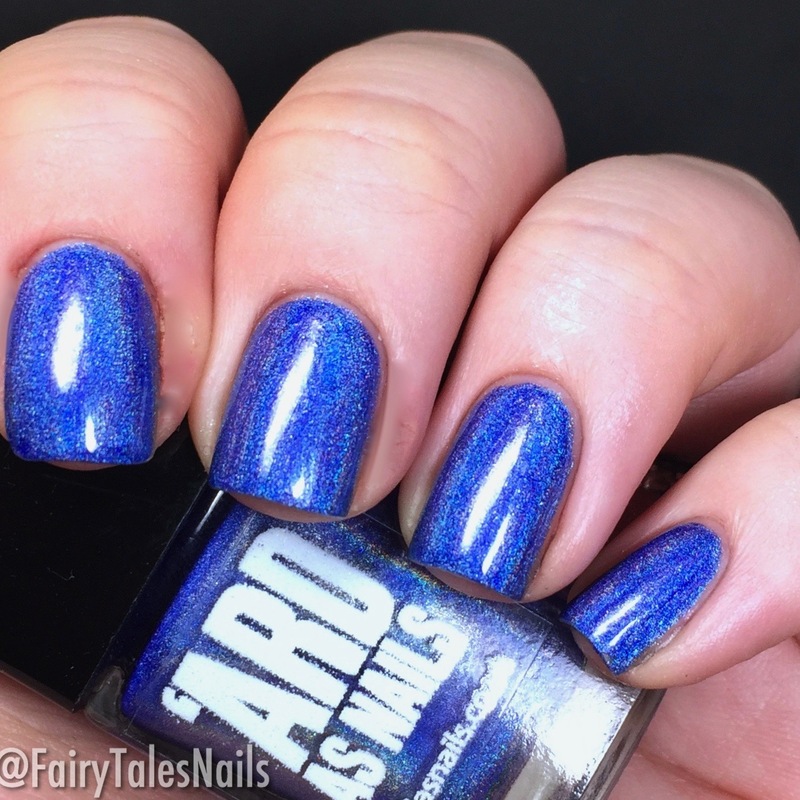 This stunning polish is 'Zed's Dead' from the Love It Or Loathe It collection, this is a medium toned blue linear holographic. This had an amazing formula and was fully opaque in 2 coats. 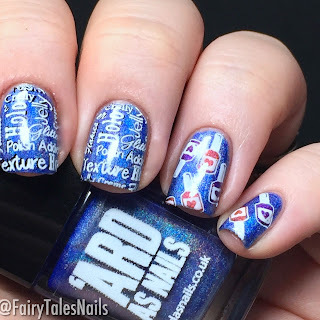 To make this mani into a nail lovers dream I used Lina Nail Art Supplies A Fair To Remember, I stamped using a black and white polish two images from this plate and coloured the nail bottles in using two other 'Ard As Nails holographic polishes. 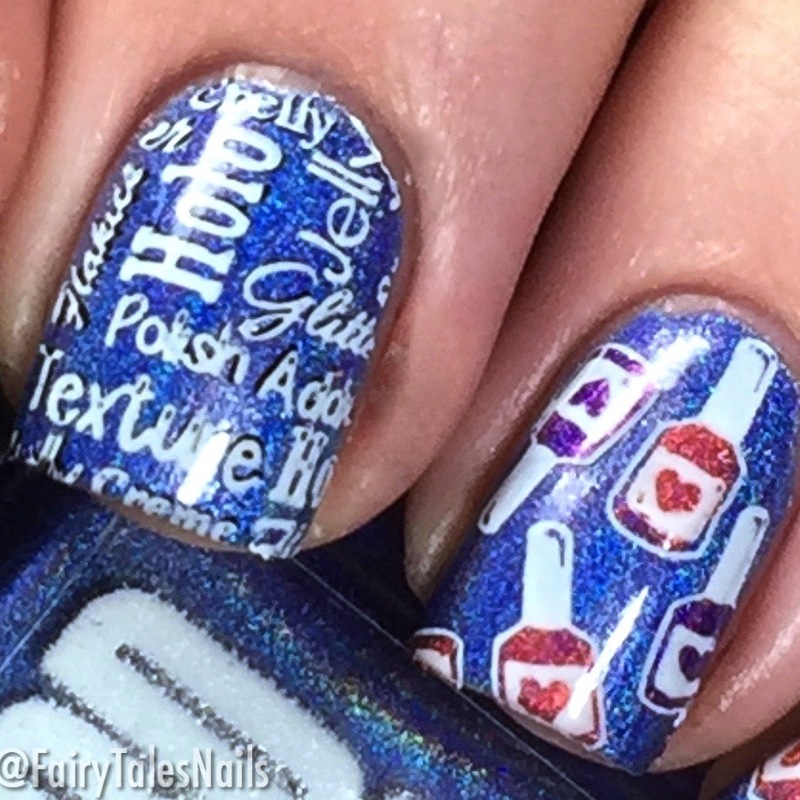 I really love this mani and to be honest wanted to keep it on for longer than I was able to. I have been loving all the other wonderful mani's the other ladies have been coming up with, make sure you check each one out in the In-Linkz below. I really hope you have been enjoying seeing all of these UK indies and I will be back here tomorrow to share one more fabulous brand with you.